Kick off your visit on the 14th (Thu): enjoy the sand and surf at Surfers Point, Head underground at Lake Cave, and then visit a coastal fixture at Cape Leeuwin Lighthouse. On the 15th (Fri), you'll have a packed day of sightseeing: enjoy the sand and surf at Cowaramup Bay and then awaken your taste buds at some of the top wineries in the area. 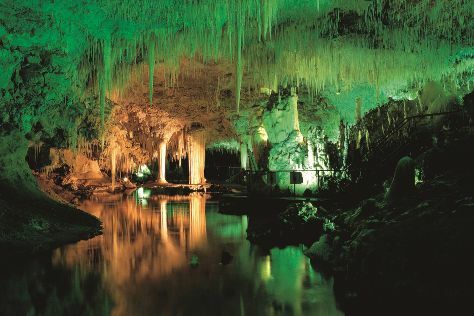 For photos, more things to do, ratings, and more tourist information, refer to the Margaret River visit planner . Manchester, UK to Margaret River is an approximately 28-hour combination of flight and bus. You can also do a combination of train, flight, and bus; or do a combination of train, flight, and bus. Traveling from Manchester to Margaret River, you'll lose 8 hours due to the time zone difference. Wrap up your sightseeing on the 15th (Fri) to allow time to drive to Denmark. Kick off your visit on the 16th (Sat): examine the collection at National Anzac Centre, learn about winemaking at Singlefile Wines, and then stroll through Greens Pool. Here are some ideas for day two: look for gifts at South Coast WoodWorks Gallery, take an in-depth tour of Albany's Historic Whaling Station, and then explore the striking landscape at The Gap and Natural Bridge. To find traveler tips, other places to visit, more things to do, and other tourist information, refer to the Denmark tour app . You can drive from Margaret River to Denmark in 4 hours. Another option is to take a bus. In November, daytime highs in Denmark are 25°C, while nighttime lows are 12°C. 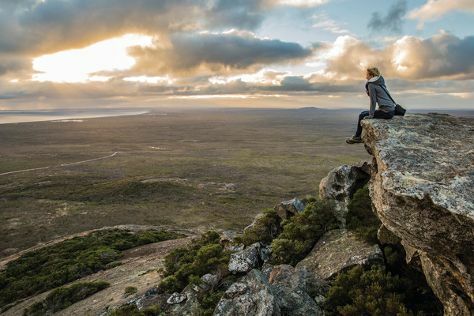 Wrap up your sightseeing on the 17th (Sun) to allow time to drive to Esperance. Esperance is a town in the Goldfields-Esperance region of Western Australia, on the Southern Ocean coastline approximately 720km east-southeast of the state capital, Perth. 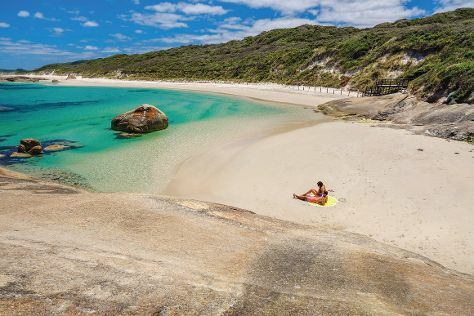 We've included these beaches for you: Cape Le Grand National Park and Thistle Cove. You'll explore the less-touristy side of things at Blue Haven Beach and Salmon Beach. There's still lots to do: kick back and relax at Hellfire Bay and stroll through Ten Mile Lagoon. To find ratings, traveler tips, more things to do, and other tourist information, read our Esperance journey maker tool . Getting from Denmark to Esperance by car takes about 6 hours. Other options: do a combination of bus and flight; or take a bus. Expect a daytime high around 28°C in November, and nighttime lows around 13°C. Cap off your sightseeing on the 20th (Wed) early enough to travel to Coles Bay. On the 21st (Thu), see majestic marine mammals with a dolphin and whale watching tour and then walk along Wineglass Bay Lookout. Keep things going the next day: do a tasting at Gala Estate Vineyard, then learn about winemaking at Craigie Knowe Vineyard, and then tour the pleasant surroundings at Friendly Beaches. To find other places to visit, ratings, and tourist information, read our Coles Bay online day trip planner . Do a combination of flight and bus from Esperance to Coles Bay in 13.5 hours. Alternatively, you can do a combination of car, flight, and bus; or do a combination of bus, flight, and taxi. Due to the time zone difference, you'll lose 2 hours traveling from Esperance to Coles Bay. Finish your sightseeing early on the 22nd (Fri) to allow enough time to travel to Noosa. 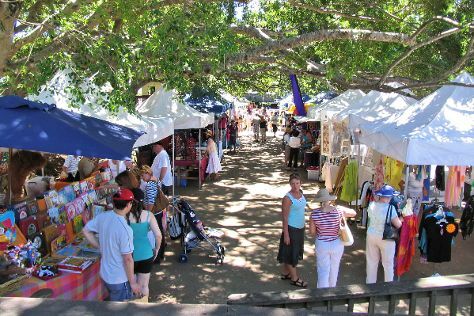 Start off your visit on the 23rd (Sat): browse the eclectic array of goods at The Original Eumundi Markets, then stop by The Real McCaul, and then enjoy the sand and surf at Noosa Main Beach. For maps, reviews, traveler tips, and other tourist information, go to the Noosa trip planner. Explore your travel options from Coles Bay to Noosa with the Route module. Wrap up your sightseeing on the 23rd (Sat) to allow time to drive to Gold Coast. On the 24th (Sun), browse the different shops at Pacific Fair Shopping Centre, enjoy the sand and surf at Burleigh Heads Beach, and then kick back and relax at Burleigh Head National Park. On the next day, kick back and relax at Kirra Beach, then enjoy the sand and surf at Coolangatta Beach, and then buy something for everyone on your list at Robina Town Shopping Centre. 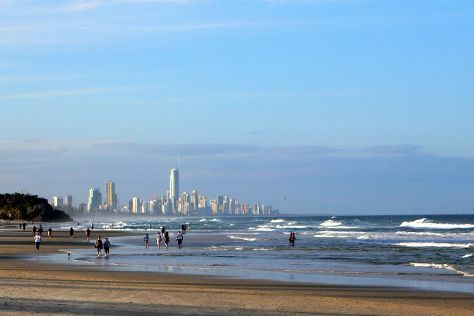 Plan my day in Gold Coast using traveler tips and tourist information provided by Inspirock. You can drive from Noosa to Gold Coast in 3 hours. Other options are to take a bus; or take a train. In November, daytime highs in Gold Coast are 30°C, while nighttime lows are 20°C. 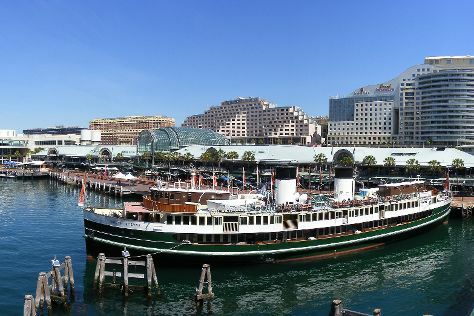 Wrap up your sightseeing on the 25th (Mon) early enough to travel to Sydney. On the 26th (Tue), take a stroll through Darling Harbour, see a show at Sydney Opera House, and then take a stroll through The Rocks. Get ready for a full day of sightseeing on the next day: hunt for treasures at Sydney Fish Market, then tour the pleasant surroundings at Bondi Beach, and then enjoy the sand and surf at Coogee Beach. For where to stay and more tourist information, refer to the Sydney trip maker app . Traveling by flight from Gold Coast to Sydney takes 3.5 hours. Alternatively, you can do a combination of train and flight; or drive. November in Sydney sees daily highs of 29°C and lows of 19°C at night. Wrap up your sightseeing on the 27th (Wed) early enough to travel back home.